GLL has welcomed a Government initiative launched today (26th October 2018) that reinforces its commitment to curriculum swimming and water safety, by providing extra support and improved resources for schools. A key element of the initiative is to raise awareness within the education sector of the availability of funding through the PE and Sport Premium. This enables children who have not yet met or are unlikely to achieve national curriculum targets in swimming; to receive ‘paid for’ extra lessons or additional swimming teachers to help support delivery. The extra support will help to deliver the Government’s sport strategy “Sporting Future”, which commits to ensuring that every child leaves primary school able to swim at least 25metres unaided. As the largest provider of school swimming lessons in the UK, teaching over 80,000 school pupils each week, GLL is part of the ‘Swim Group’ which advises the Government on ways to improve schools’ swimming attainment. 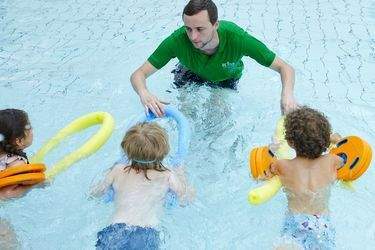 GLL delivers schools’ swimming lessons across 149 Better leisure centres in the UK. Earlier this year it provided over 200,000 children with water safety lessons as part of National Drowning Prevention Week and recently launched a new Schools Swimming Syllabus offering a ‘Swimming Guarantee’ that commits to ensuring every pupil learns how to be safe in and around water.